Lan Tel Services provides reliable custom solutions to your communication and information technology needs. In today's world, business happens fast. Across the room or around the world, we'll keep you running faster. Lan Tel has decades of experience in the design and support of cutting edge IT systems. 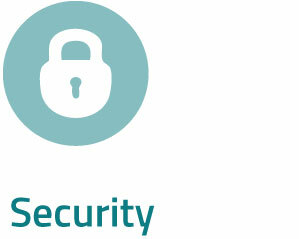 Regardless of the threat, our job is to keep your business safe, secure, and resilient. KEEPING YOU CONNECTED 24 HOURS A DAY, 7 DAYS A WEEK. Our growth is built on a company philosophy that emphasizes value for our customers, our employees, and our community. Lan Tel Services is family owned and has been in business since 1992. Customer Satisfaction - We provide innovative products, competitive rates, and unsurpassed customer service. Our Customer First philosophy is the cornerstone of our success. We strive to make each interaction a positive and productive experience for our Customers. Employee Appreciation - Our employees are the Company's most valuable asset and the source of our strength. We promote an environment of mutual respect, integrity, and enthusiastic teamwork for our employees. Community Involvement - Our goal is to be responsible citizens in the communities where we live and work. We will make positive contributions to the quality of life in our Communities. Shareholder Value - We strive to increase revenues, while managing costs. We continue to examine ways to maximize return for our Shareholders, while remaining true to our core values.